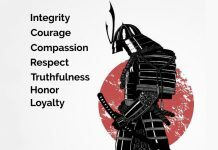 Of course, the instructor is absolutely correct if he is talking about choreographed moves, repetitive patterns, dozens of katas, ancient weapons, and learning foreign terminology and customs. On the other hand, if a person goes to a Reality-Based Personal Protection instructor anywhere in the world the instructor will tell him, “It doesn’t take years to learn real self defense. It takes days” and this instructor has military and police agencies around the world to back up the claim. 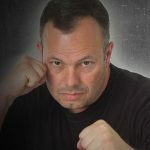 When it comes to learning everything you need to know about punching and blocking with your hands and arms it only takes hours using my Metric Arm Striking & Blocking system, then it is up to the student to perfect and maintain their skills. What does it mean “Metric System” when referring to self-defense? We all know that the mathematical metric system is based on the number 10, such as 10 millimeters in one centimeter. In the Reality-Based Personal Protection there are only 10 ways to strike a person, 10 blocking angles, 10 directions in which the human body can move from one point to another, and this rule holds true whether you are a housewife protecting yourself with a knife against an intruder or a counterterrorist operator moving in on a target. The first two primary directions are forward and backward. This can mean moving forward by stepping in on an opponent to close the gap or stepping back to avoid getting hit by a beer bottle. This can also mean striking an attacker in the face with your fist using a forward strike or doing a hammer fist strike rearward on someone trying to grab you from behind. For each corresponding direction in my system I also have a number assigned to it. For example, forward is number 1and backward is the number 2 direction. The next two angles of attack (a geometry term) are horizontal, and there are only two directions you can move, ether left or right; numbers 3 and 4. Following is the vertical plane. When striking someone on the vertical plane with your fist or elbow there are only two ways you can go – up or down. Number 5 is down and number 6 is up. The number 6 can be an upward strike to the ribs or upward elbow to the chin. The target depends on availability. The final four lines to strike or block are the diagonal lines, which if represented graphically, would be the letter “X.” Either you are going down diagonally, left or right, or you are striking up diagonally, left or right. 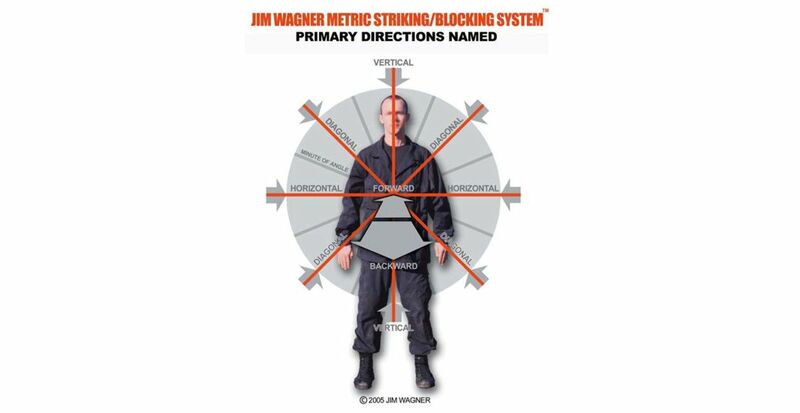 When you add up all of these primary angles they total 10 directions, thus, the Jim Wagner Metric Striking & Blocking system. We don’t worry about the angles between the primary angles, also known as the “minutes of angle,” because it simply doesn’t matter in fluid combat. If someone is trying to drive their fist into your face, and it is traveling somewhere between a horizontal strike and a diagonal strike, the angle of your arm to block this strike is not going to change the dynamics much. When it comes to delivering your fist to the target there are only 10 directions, or only 10 directions for an open-hand strike. 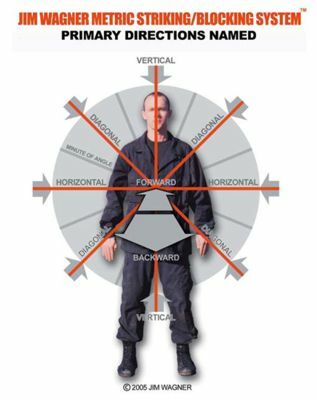 If you look at any attack angle chart throughout history, be it a 17th century Italian woodcut illustration, 1940s Filipino Kali diagram, or ancient American Indian traditions, or today’s U.S. Marine Corps Martial Arts Program (MCMAP), the primary angles are all there. I just happen to have figured out that there are only 10 of them, and have passed on this discovery to my police, military, security, and civilian students. 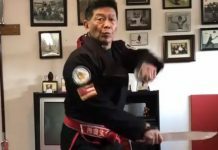 The instructor doesn’t know any better because he has never been in a real fight and is just passing on techniques that was taught to him by his instructor and is unaware of common denominators. The instructor knows that if they have “hundreds” of things to show you, that you’ll keep coming to him or her for information. This means a steady flow of money for the instructions. If I told my police and military students, like the Federal German Police (Bundespolitzei) or the U.S. Air Force Security Forces that I have hundreds of techniques to show them, and that they needed years to learn them, they would laugh at me and go get themselves another instructor. 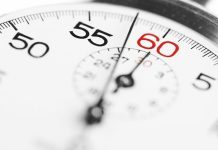 Most people in the police or military know that the techniques required on the streets or battlefields should be simple, effective, and should require very little time to learn and master.